Sometimes music can be confusing*. Especially when bands release versions of songs that are not strict covers and rename the song! In 1971 Fela Kuti released Who’re You? 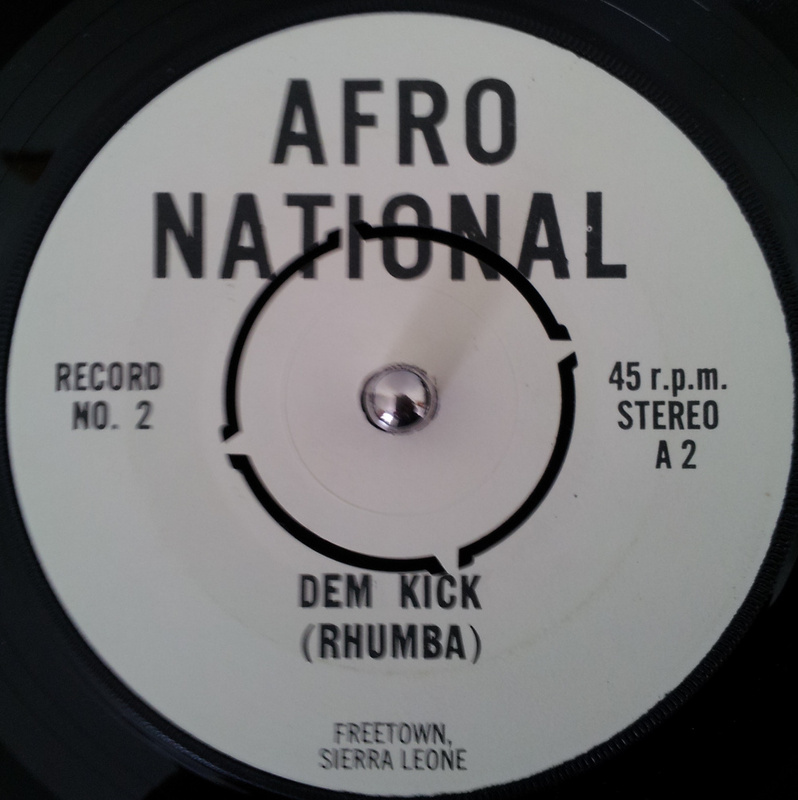 a raw early Afrobeat track, with subtle horns and driving percussion. It is actually one of the early releases of Africa 70, Fela’s band initially named as Nigeria 70, and it sowed the seeds that were to later blossom into the fully fledged, intricately arranged compositions that made up the classic Fela cuts of the mid to late 1970’s. The band released several LP’s and singles, mainly of Highlife and Calypso songs and only a few Afrobeat tracks, some with the voice of Patricia Koroma. *Music and record collecting can also be magical, as digger extraordinaire, Duncan Brooker, demonstrates in this interview, where he discusses his efforts to track down the band. There appears to be a rare early Fela Kuti & Koola Lobitos single “Mr. Who Are You” that could have been the song that Afro National were referencing. This song was supposedly very popular in the whole of West Africa and could explain why it was released by Afro National in Sierra Leone. Another theory is that “Mr. 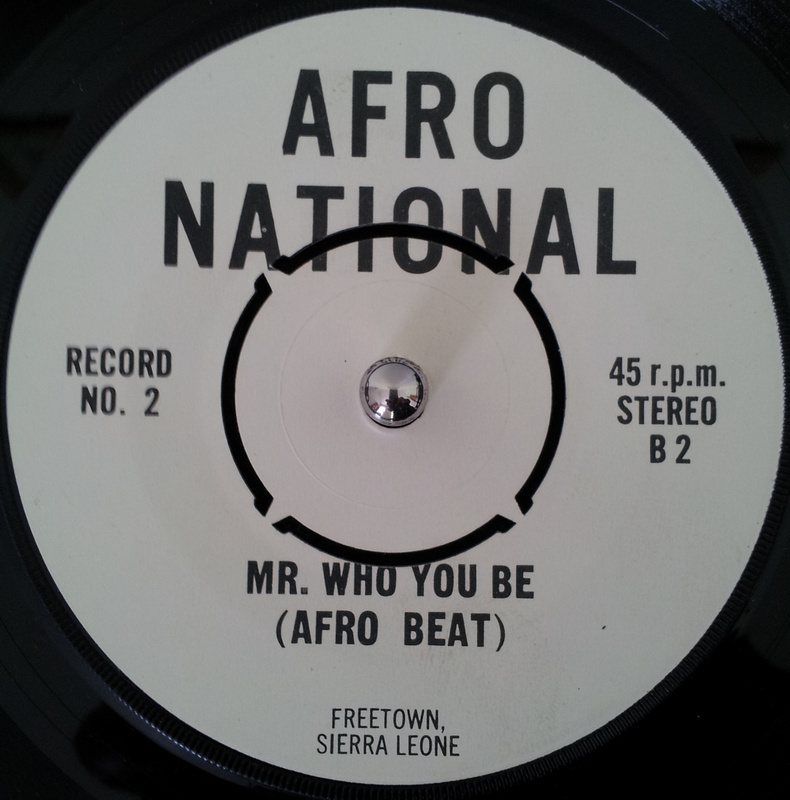 Who Are You” is an early version of “Who’re You?”, the song Fela recorded with African 70 in 1971. The problem is I have not heard this early version and nor would it appear have many others! Afro National’s “Mr. Who Be You” does bear some similarities to “Who’re You?” but it is definitely not a straight cover. Thanks to Uchenna Ikonne for this further information.